Picking this high-quality photographer portfolio website design, you can design a site for any professional photographer, fashion photographer or freelance photographer portfolio. 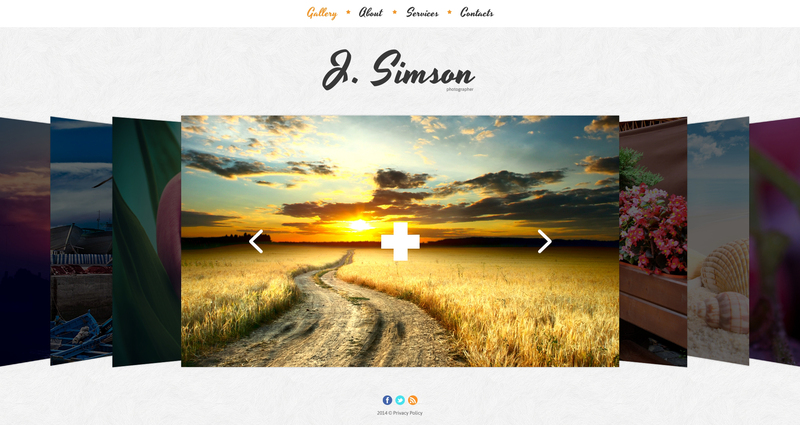 This unique theme will motivate website visitors to discover more about your freelance photographer portfolio or photo album portfolio. Thanks to its 100% responsive essence, you will effortlessly get through to clients who surf the internet on the run, while SEO-friendliness will enable you enhance traffic rates of your internet site. With the key focus on proper design structure, this website template comes with all necessary blocks to feature your news and products. With a laconic page layout, it is created to build up a pro and reliable web presence of a personal or a business resource. A client-oriented customer assistance staff is available round-the-clock totally free. Go with this web layout to persuade potential web users that they will have a nice time looking through your web project!